Iberia Express is a Madrid-based airline operating short and medium-haul flights. 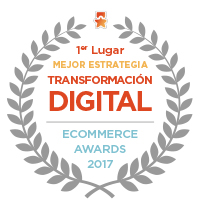 A wholly- owned subsidiary of Iberia, the company competes both effectively and sustainably in an increasingly complex market. 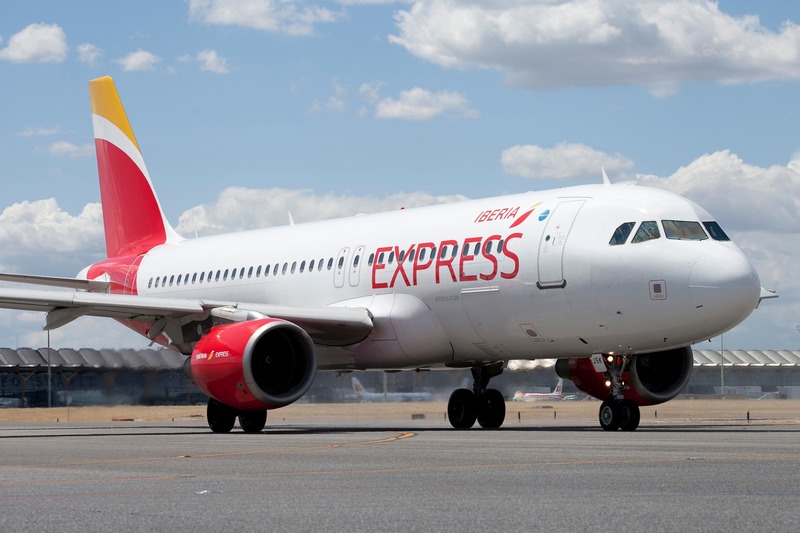 Iberia Express also provides its parent company with profitable direct and feeder flights, which actively support growth in Iberia’s long-haul network. Iberia Express began operating in March 2012 and since then the airline has become one of the top four airlines operating out of Madrid’s Barajas airport. According to FlightGlobal, Iberia Express outperforms all other European airlines in terms of punctuality. All the company’s flights are connected to the Iberia network to allow smooth connections for passengers travelling from any airport. The company currently has codeshare agreements with LAN Airlines, British Airways, American Airlines, Air Berlin, Japan Airlines, Avianca, Finnair, Siberia Airlines and Royal Air Maroc. Iberia Express' management team, led by Fernando Candela, strives to select, train and foster the talents of the very best professionals. Together they create a young, friendly and streamlined airline whose business plan is not only economically-viable but allows it to thrive among the competition and stand firmly on its own two feet. With over 6,500 aircraft sold and 4,000 currently in service, the A-320 is the world's best- selling family of aircraft. Since first being released on to the market, where it showcased innovations such as its fly-by- wire control system, Airbus has continually upgraded the family in order to further reduce fuel needs, emissions and noise levels. This aircraft forms part of the A-320 family, which is also featured in the Iberia Express fleet. The changes in this model are minimal except for the length, maximum configuration, wing surface and landing gear reinforcement. Interestingly, this was the first Airbus model to be assembled outside of France. 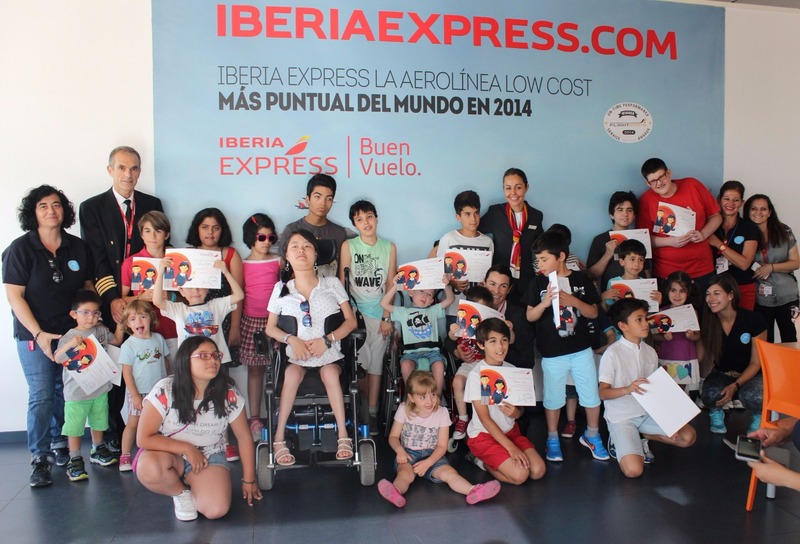 Iberia Express stands firmly behind its commitment to corporate social responsibility. In addition to adhering to the United Nations Global Compact, the airline carries out a number of initiatives to support society as a whole. Iberia Express regularly collaborates with UNICEF Spain, one of the 36 national committees contributing to the work of the United Nation's Children's Fund. Since the airline was founded, Iberia Express has participated in two service programmes: “Cumpledías” (combatting child malnutrition) and “Agua Urgente para los niños sirios” (providing clean water for children in Syria). Iberia Express was the official airline of the fifth Salme’s Cup charity golf tournament, held in summer 2014. Each year, this sporting event brings together 120 VIP guests over a game of golf to raise funds for those most in need. In 2013, Iberia Express began collaborating with Aviación Sin Fronteras, a non-profit organisation helping young travellers in need. The organisation relies mainly on the generosity of its members, who are primarily airline employees. Iberia Express supports their endeavours, providing meeting and event spaces and assisting with transport. Iberia Express also actively supports the Abracadabra and Theodora foundations and sponsored the Land Rover Discovery Challenge charity event. The Iberia Group is Spain's largest air transport group and leader in the Europe-Latin America market, with the largest number of destinations and connections to that region. Drawing on over 85 years of experience, Iberia focuses on three core business areas: passenger and freight transport, aircraft maintenance and airport handling services. The company was a founding member of the oneworld alliance, with member airlines from across the globe, who collectively serve over 600 destinations and offer the best flight connections to passengers. IAG, with corporate headquarters in Madrid and financial and operating headquarters in London, is traded on the London Stock Exchange and on the Spanish stock market (IBEX 35). With over 100 destinations worldwide and nearly 200 additional destinations through codeshare agreements, Iberia offers around 700 flights per day. It is the leading airline for services between Europe and Latin America, thanks to its numerous destinations and flight frequency to that region. Based in the Madrid Barajas airport, one of the largest in Europe and the world, Iberia has one of the most modern fleets on the continent. Over 24 million passengers travel with Iberia each year and the company is also the leading handling operator in Spain, as well as the ninth-largest in aircraft maintenance and engineering. Moreover, Iberia is a leader in corporate social responsibility, earning it a spot on the Dow Jones Sustainability Index (DJSI) World in 2006, which recognises the best economic, social and environmental practices among the largest companies in the world. The company currently employees over 20,000 professionals. International Airlines Group (IAG), formed in 2011 following the merger of Iberia and British Airways, is the third-largest airline group in Europe and the sixth largest in the world in terms of revenue (over €16 billion in 2011).